Because a few questions can lead to great insight, I'm happy to present Fast Five — interviews with my favorite writers, and chances to win great books. (To enter the drawing, simply post your name and contact info in the comments section below). Raised in a small town in Indiana, poet Shaindel Beers has lived in remote regions and major cities and has found home in the high desert, eastern Oregon town of Pendleton. She is the author of two poetry collections, the poetry editor for Contrary magazine, and an instructor of English at Blue Mountain Community College. Most of the words I like have to do with the interesting sounds in them rather than the meanings of the words. I love the sound of the word coagulate because I love the weirdness of those vowels shifting into each other. In the language of the local Native American tribe, good morning is Tahts maywee. It sounds so cheerful. You can hear some of the language here in Roberta Conner’s TEDTalk, and it’s a great talk on the importance of indigenous languages. I also love the word chartreuse. It’s a beautiful color, too, but the sound of the word is lovely. 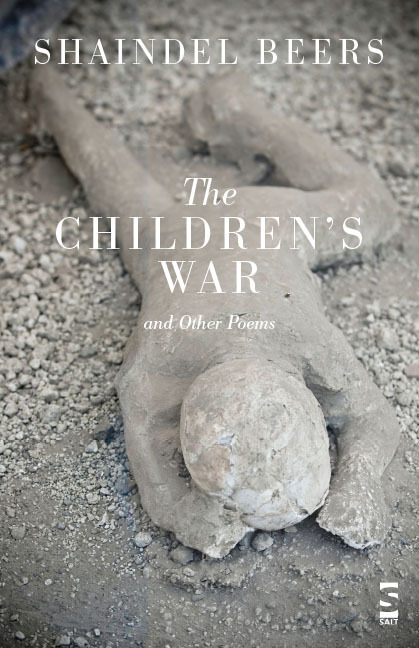 Enter a drawing to win The Children's War and Other Poems by Shaindel Beers. Simply add your name and contact info in the comments section by July 15, 2016. I'll randomly choose a name from the entries, and the winner will be contacted via email.